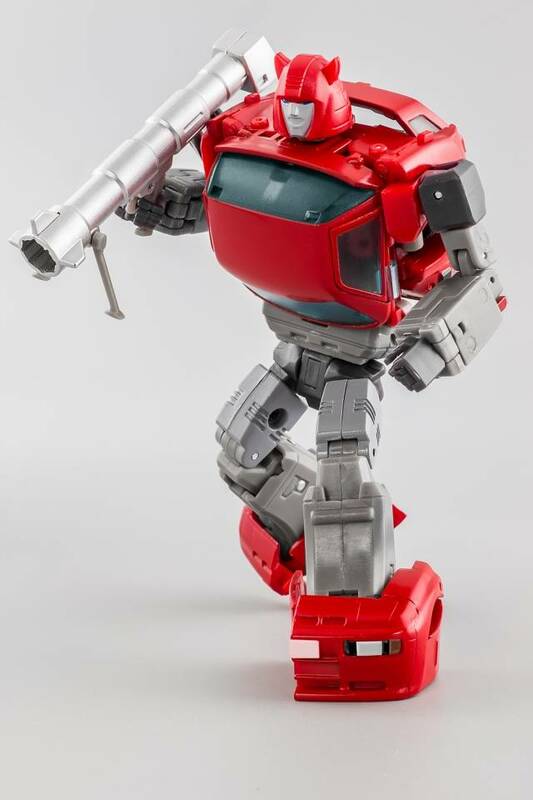 PS-09 Hellion is next up in MMC's Ocular Max Perfection Series! 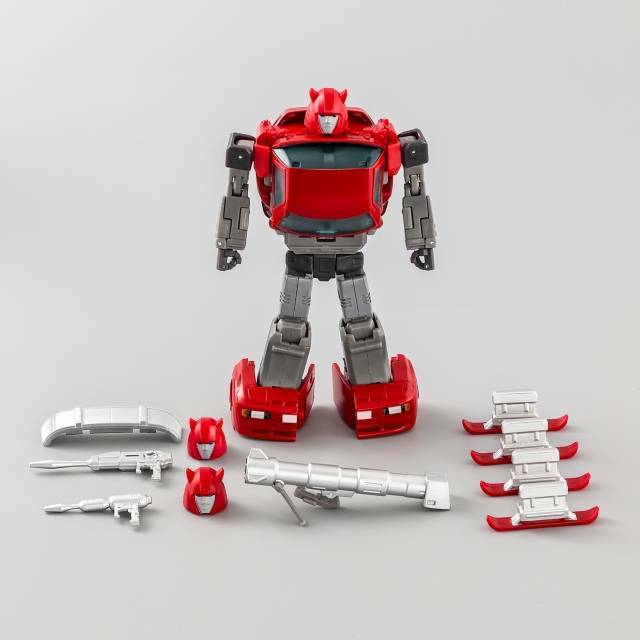 Hellion is MP scaled and features die-cast chest and feet and rubber tires and transforms from a car to robot and back! Hellion is a hot head and often jumps into the heart of the battle with only one goal in mind, take out the enemies. He doesn't trust anyone and treats everyone that he talks to with a condescending attitude. Hellion always has an itchy trigger finger and often pulls out a BFG at the most unexpected time to blast his enemies away, even at the cost of a tactical error during battle. 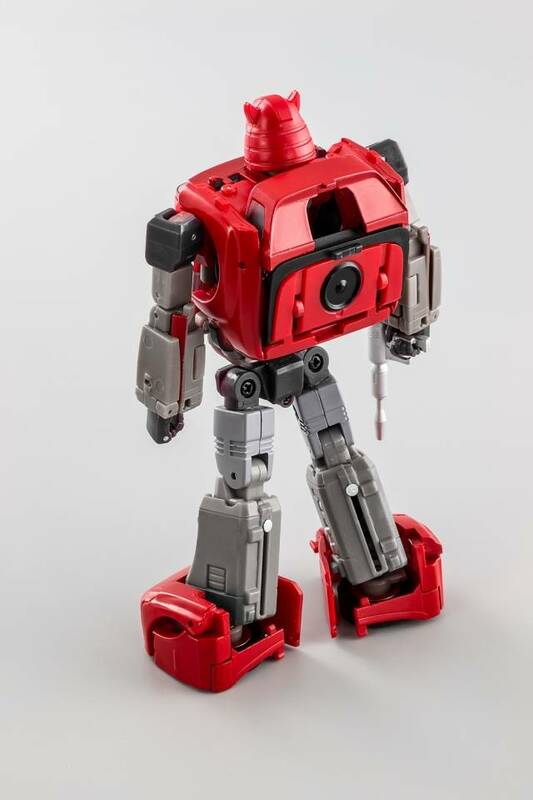 Bot height: 5" (12 cm) tall in robot mode. 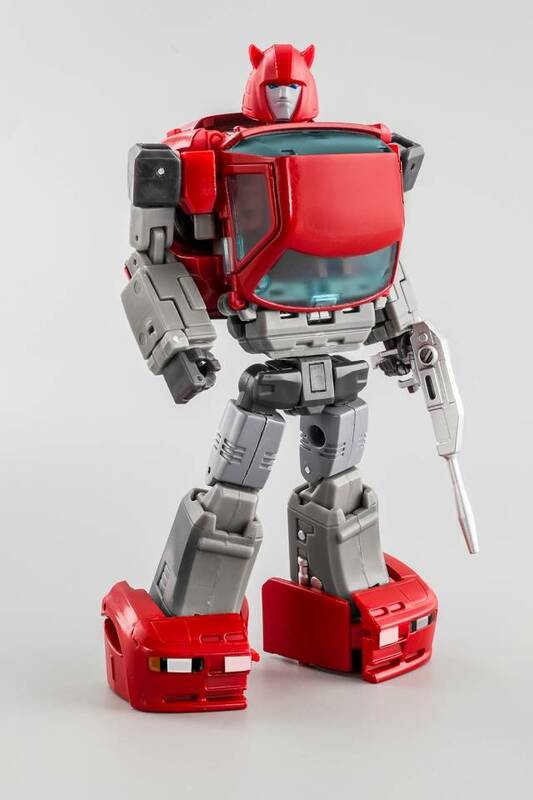 After Ocular Max Sphinx (which I thought was spectacular), I was looking forward to Hellion. Unfortunately, it didn't live up to expectations. I realize the smaller it gets, the harder it is to engineer, but Hellion does not live up to the quality of Sphinx. 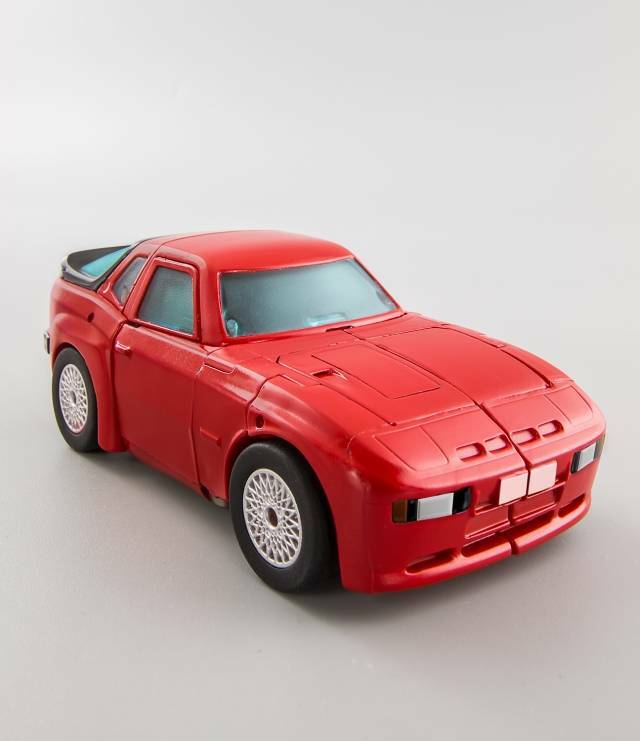 Joints are tight, and the G1 resemblance is spot-on, but the big weakness is in the doors. The screw that holds the assembly together threads into literally nothing. The hole is too big for the single screw, leaving this (already flimsy) piece completely unsupported. It literally fell off of my figure during transformation. I admire the remarkable resemblance both in robot and alt modes to the bespoke character (and the engineering in the arms is amazing), but this one didn't live up to the hype. 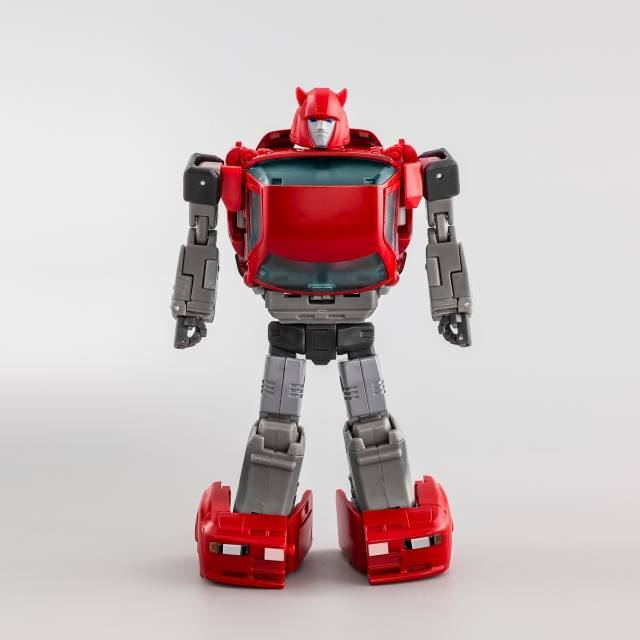 I picked up the Ace version of Cliffjumper a while back and was really disappointed. THIS guy however is a treat. He matches MP Bumblebee very well, proportions and all. His transformation is surprisingly complex though, and some of his parts are kinda teeny tiny. So be careful. 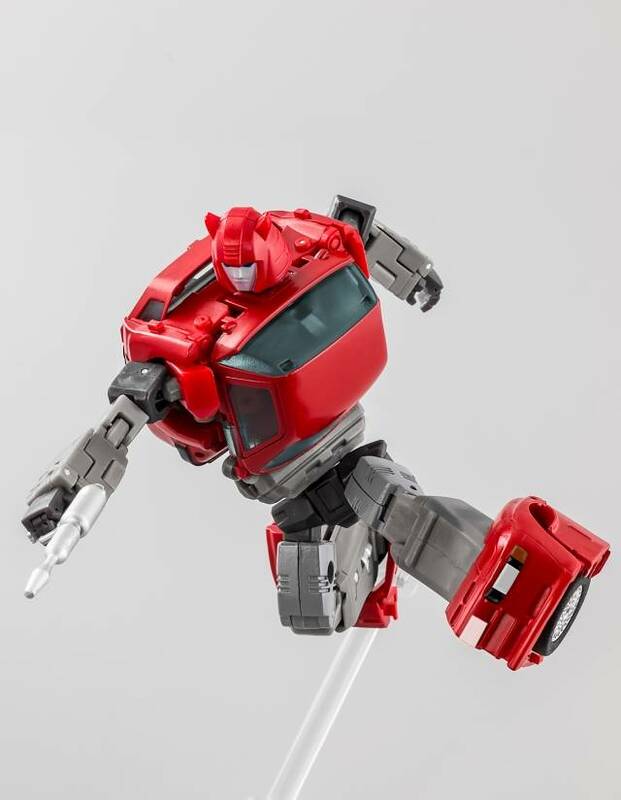 Overall Hellion is THE Cliffjumper to get right now. I really wanted to like this figure and when I saw it had die-cast parts I was pleasantly surprised, but that was the last thing I enjoyed about it. The transformation was needlessly complex and the pieces weak. The head was painted poorly. Over all, a big disappointment. * Chest plate / torso. Very toon accurate without compromising the transformation scheme or backpack. * Backpack . His backpack is minimal—less than MP Bumble Bee's. 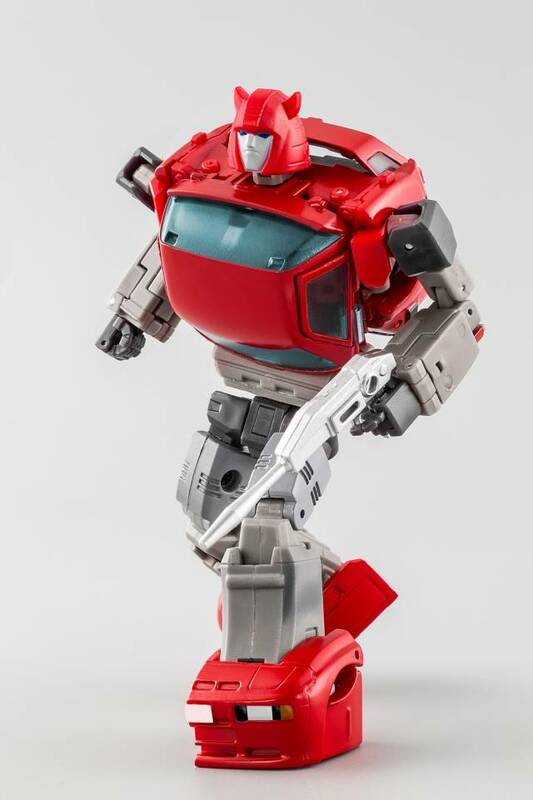 Look at X-Transbots' backpack and sternum area, it is an absolute atrocity. 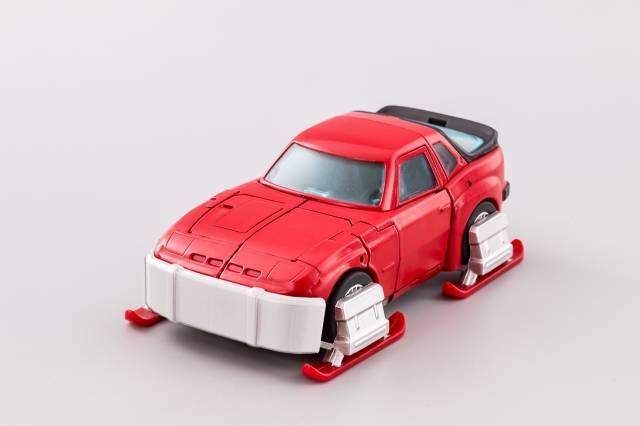 * Car mode. It is close as anyone can get to be cartoon accurate without creating a vehicle that did not exist. Good balance between toon accurate and accurate representation of a Porsche. Ever since I saw this guy I wanted him, and once I did get him I was not let down. Perfect everything although the steering wheel fell off and I lost it but I don't care, and the transformation is complex but I still don't care, everything else just outweighs the small imperfections. The transformation on the doors is a little scary the first few times, but despite all the fold-y panels and etc, the actual process is pretty quick and easy once you know the way of it. 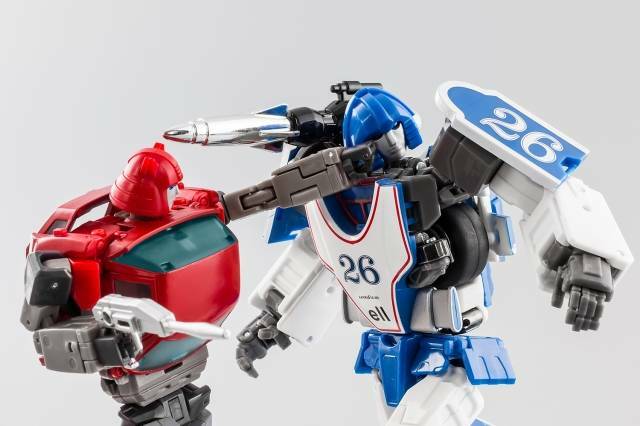 He looks good in both modes, and can even hold a passenger, which is an attention to detail even Takara struggled with! Hellion is both fun to transform and looks sharp in both modes. I'm very impressed.